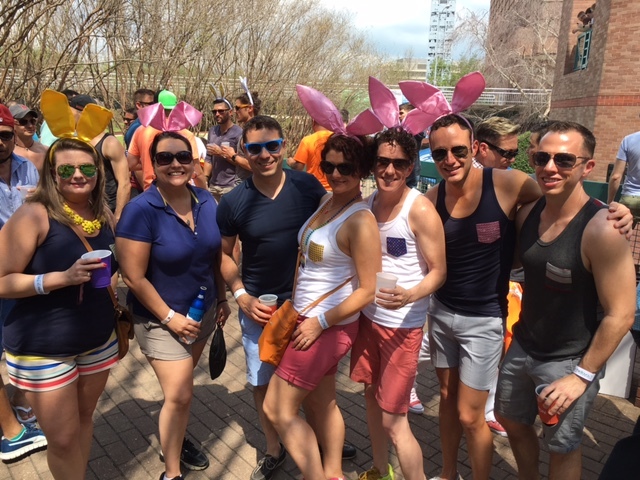 Since 1979 Houston’s LGBTQ community has come together for a great party and a great purpose known as Bunnies on the Bayou. This annual Easter Sunday celebration is turning 40 years old this year and will take place in downtown Houston at Sesquicentennial Park. 100% of the proceeds raised from the event will benefit 15 local charities which seek to improve the quality of life of individuals within our community. One of the many things that sets Bunnies on the Bayou apart from other local LGBTQ related events is that it is not your typical, stuffy gala. 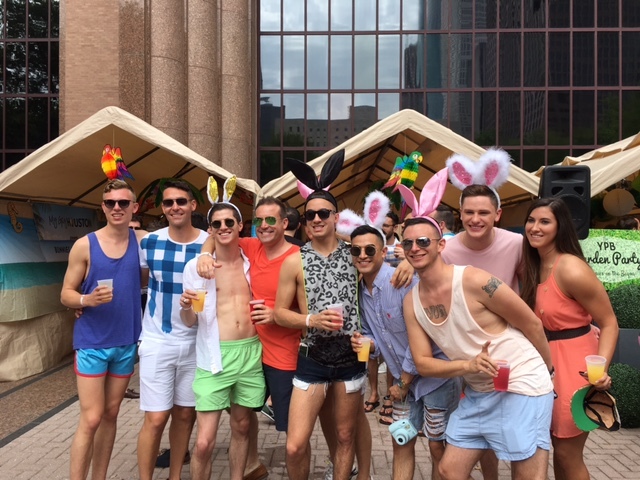 People are encouraged to dress up in their best Easter themed costumes and enjoy the springtime sunshine outdoors during April - one of the best months to be in Houston. 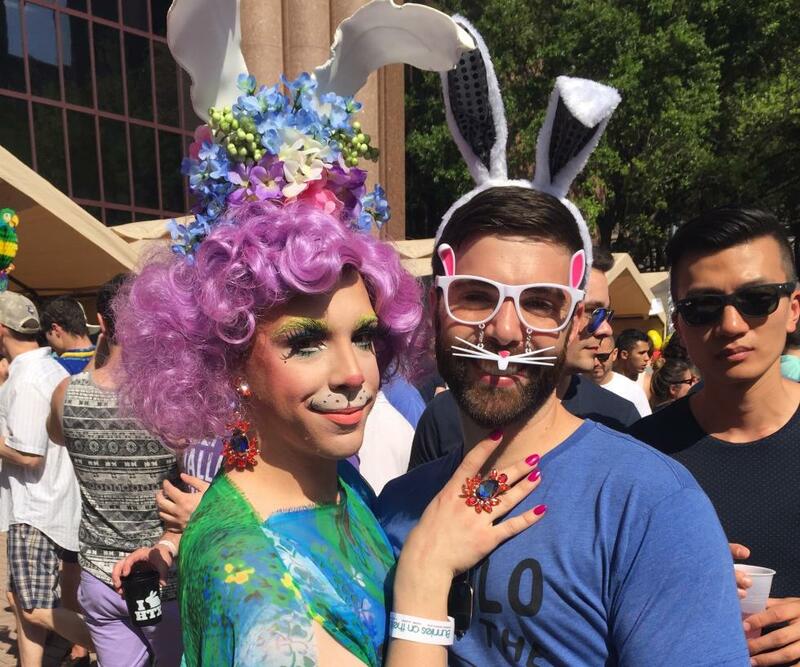 Typical fashions include tank-tops and bunny ears, but don’t be shocked if you see a local drag queen sporting her best Easter bonnet or a burly bear hopping along in his leather harness. It is a party after all! Bunnies on the Bayou is also the name of the 501(c)3 organization that throws the annual event. All ticket sales are tax deductible and include admission to the party and frosty Easter beverages. This year there are 15 beneficiaries who will take a portion of the funds raised, some of them include AIDS Foundation Houston, HATCH Youth and the Houston Pride Band. Bunnies on the Bayou evolved from a birthday party that took place on Easter Sunday in 1979. Friends got together and came up with the idea to initially have a party that collected food they could donate for admission. As time went on and the event grew the party moved to its current location along the bayou in downtown Houston and ticket sales now gain people entry. General admission to the afternoon event is a reasonable $45 considering that it includes drinks. If you can splurge for the VIP Garden tickets you will gain access to a private area with air conditioned restrooms and premium liquor. There are also sponsorship tents with similar perks so it certainly pays to know someone affiliated with one of the several sponsors. The event is on Sunday and usually spills over into the evening, so if you want to keep going after the event you might consider taking that Monday off to cure the bunny blues from having a little too much fun. Remember as you nurse that hangover that it was all for a great cause. Hop to it and get tickets here.